We can trace our roots right back to 1843, when the Sheffield School of Design was founded to provide skilled designers to support Britain’s industry. In the early days we were a somewhat smaller institution. Lessons were given in the Bath Saloon, a rented room above the baths on Glossop Road, which is now home to a pub. Lessons had an average attendance of 32 people. We later moved into the purpose-built Sheffield School of Art on Arundel Street. By the 1850s we had grown to around 1,000 students and changed our name to Sheffield School of Art. At the Great Exhibition in London, we were the most successful art and design school in the country, with Sheffield students winning four gold medals – no other school won any. 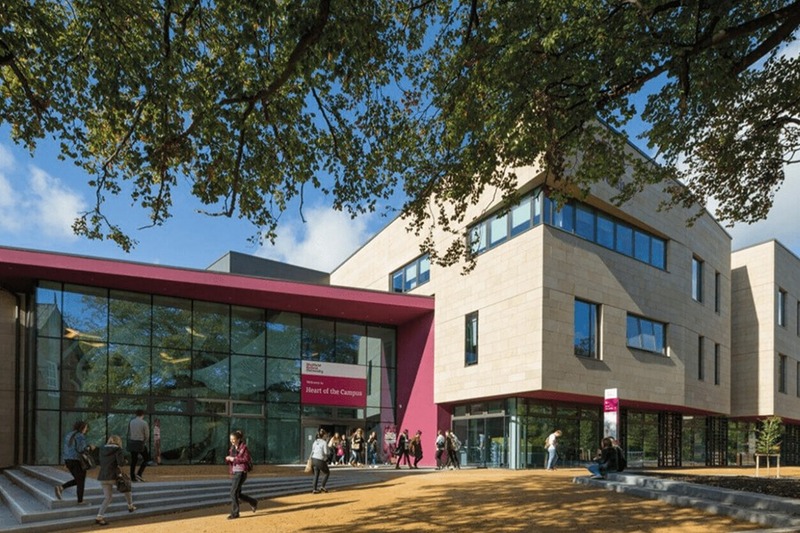 Sheffield City Training College officially opened on 13 October, based at Collegiate Campus. 132 students enrolled. Unlike other colleges around at the time, the college admitted both men and women – although they were not taught in the same classes or lecture theatres until the 1930s. In 1966 it was renamed the Sheffield City College of Education. Sheffield Hallam is one of the UK’s leading universities for generating new technology and fresh ideas. An impressive 65% of our research activity is rated as internationally excellent or above in the national Research Excellence Framework (REF) 2014. Whether you’re looking for general improvements or a smart eye to solve a specific problem, our internationally-renowned research centres can help. You can choose from a multitude of specialisms from market research and product development to process simulation and modelling to materials engineering. 1,000 organisations: We work with over 1,000 organisations to find you the right placement, including the BBC, Sony, NHS and Rolls Royce. 95% student satisfaction for careers advice: Every course has a dedicated careers adviser. 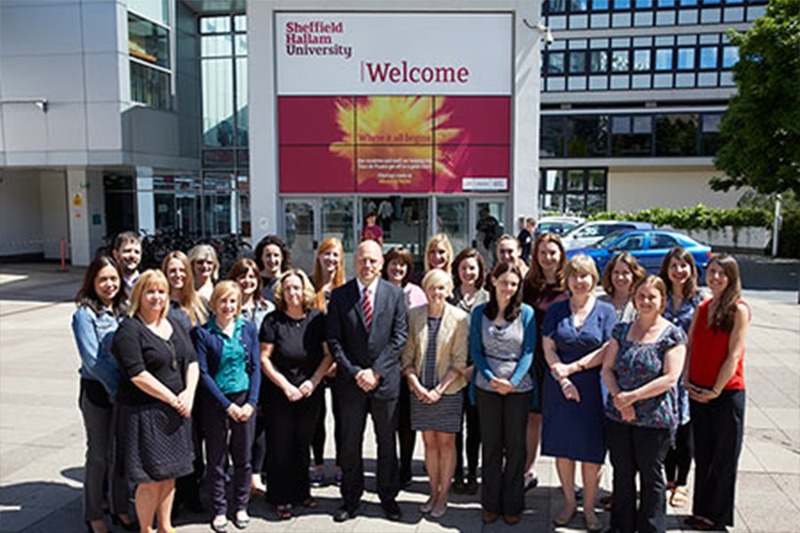 Our careers support has 95% student satisfaction (Life@Sheffield Hallam Survey 2017). £100 million invested in facilities: We’re constantly updating and adding to the facilities you’ll use, with over £100 million invested in new facilities in the last 5 years. This means 24-hour libraries, student-designed study areas, and the same equipment you’ll find in your future workplace, whether it’s an aeroplane manufacturer or a hospital. 60,000 students in one city: Sheffield has everything you need, from thriving independent scenes in music, art and culture to the beauty of the Peak District, which covers a third of the city. With over 60,000 students, whatever you’re into, you’ll find it – and you’ll make new friends who are into it too. 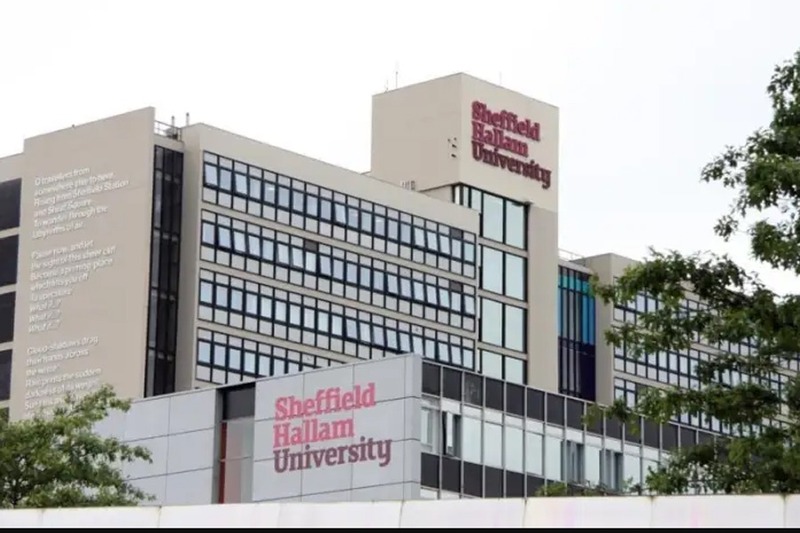 Top 10 city for cost of living: Sheffield has a low cost of living compared to other major UK cities and is ranked amongst the top 10 most affordable UK university cities. (NatWest student living index 2017). Top 5 modern university for research: Be taught by people who are experts in their subject and passionate about sharing their knowledge and industry experience with you. You’ll be learning from some of the best – we are one of the top 5 modern universities in the UK for research (Research Excellence Framework 2014). Guaranteed accommodation in your 1st year: If you’re moving away to go to university, it’s important for your new place to feel like home. That’s why we guarantee to help you find accommodation for your first year. 93% of graduates were in employment or further study within 6 months of graduation (according to the Destinations of Leavers from Higher Education 2015/16 survey). Fiona Hanlon – Assistant Producer, Radio 1 Breakfast Show. Jodie Marshall – Founder of A Mind Apart Theatre Company. Andy Akinwolere – British television personality best known for presenting Blue Peter. Mark Herbert – UK film producer and the head of the Sheffield-based production company Warp Films. He produced Four Lions, Dead Man’s Shoes and Phoenix Nights. Tom Meeten – English comedian, actor and writer best known for his television roles in The Mighty Boosh, The IT Crowd, Saxondale, Miranda and Skins. Jacqui Oatley – British freelance sports broadcaster, presenting, commentating and reporting mostly on football for BBC Sport and ITV Sport. She is best known for being the first female commentator on BBC One’s Match of the Day. Nick Park CBE – English director, writer, and animator best known as the creator of Wallace and Gromit and Shaun the Sheep. David Slade – British film and television director. His works include the films Hard Candy, 30 Days of Night and The Twilight Saga: Eclipse. He has also directed episodes for Breaking Bad.